This is how the product looks like. I kinda like this new packaging. It really nice and easy to carry as well. The innovative system goes beyond sebum absorption. It helps speed up sweat drying and evaporation so skin remains clean. My skin is definitely oily type and I have a problem with sweats. I tend to sweating a lot especially during a very hot weather sometime I just walk from one place to another I also easy to get sweating. I sweat a lot! When I mean a lot, It is really a lot and often!! Even, when I apply makeup, the makeup starts to fades away. When I start to use this cake powder I can feel the different myself. I can feel and see that my makeup and powder stay pun a bit longer than usual. Impressed !! As it claimed that Maybelline White Superfresh contains Perlite, which has 5X talc's absorption to soak up sweat and oil for 12 hours. So, for those who have a problem like me I suggest you to try this Cake Powder. It is really affordable and easy to get . The texture is also nice and lightweight. It doesn't give any weird smell or any irritating effect on my skin so far. This product also contain high in SPF that is SPF 34 PA+++ that can protect our skin from any direct UV rays and sunlight. It quite high compare to any other Compact powder I guess. So, why not you try this. This is totally recommend for the beginners as well. I can say that this powder helps me to look a little bit white and fresh from the moment I apply it. Normally my skin will starts to appear oily in the afternoon and I have to wash my face and reapply powder but after used this powder I can see that even in the afternoon my oily face does not seem really oily as usual. Serious talk. If you can't believe me you can try it yourself and feel the different. I can say that this is totally pay off with the price its offer. 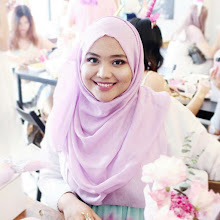 On Monday, 23 June 2014 I was invited to join to the Private Event The launch of Maybelline New White Superfresh Cake Powder. 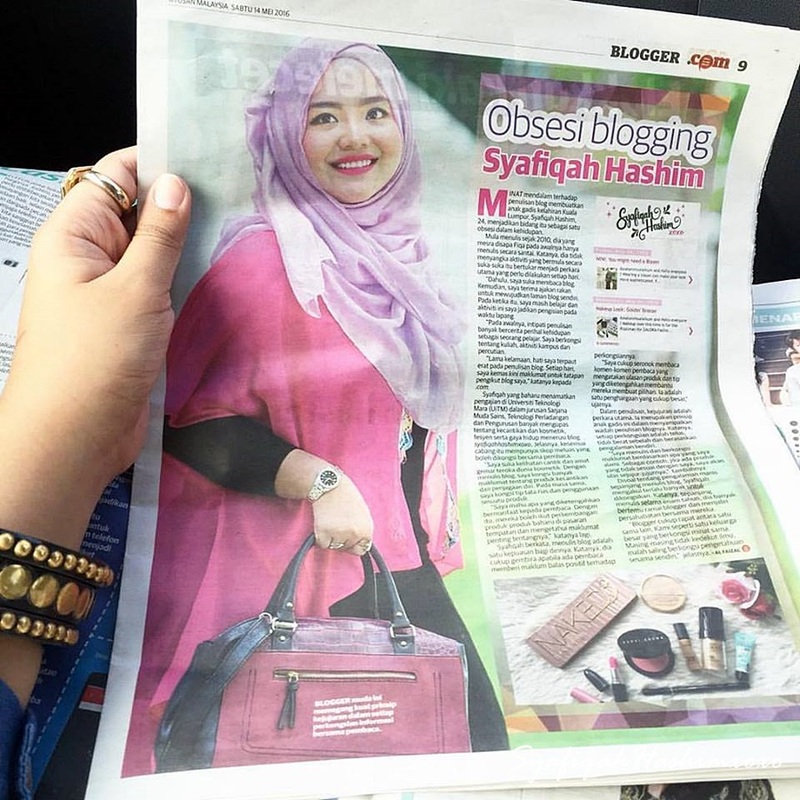 Not just that, on that day also Maybelline also introduce the another 3 New Product that is Colossal Kajal, Hypercosmos Trio Eyeshadow and Pink Alert by Color Sensational. The event were held at the Porcelene Jazz Empire Damansara, Damansara Perdana. I was a liltle bit early that day.. I manage to try the product except for my lipstick since my lipstick is really hard to be removed. hewhewheww.. I will share each product one by one and share with you about the short introduction and review about the products as well. On that day as well, to prove the effectiveness of this product They give us a chance to Experiment the different between the normal Talc and Maybelline White Superfresh. On the left container "Brand X" is a normal talc and on the right is Maybelline White Superfresh Powder. They give us to try the effective of the product by put a few drop of water inside the Talc and a few drop on the Maybelline White Superfresh. As the result it shows that The normal talc cannot absorb the water and while the Maybelline White Superfresh the water molecule start to shrink and we can see that the Mineral Perlite do the job.. As we touch it with oil paper we can see that the result shows white superfresh are holding and grip together on the part where the water drop while the talc not. The next one, We also experiment it using oil. and the result is the same. It shows that Maybelline White Superfresh can absorb the oil faster than the normal talc. Next is the demonstration for the Maybelline White Superfresh by the Maybelline makeup artist. He also show us a few Makeup Trick and Demo using Maybelline Products. This New eyeliner from Maybelline. Eyeliner is a must have product for everyone even for the beginners as well used eyeliner. This is also a routine makeup that every girl will have. This eyeliner is specially formulated for under eye and inner eye application, Colossal kajal contains the deepest black pigments to intensify your eyes much like the hypnotic kajal trend that is taking the beauty scene by storm. its exclusive color fix formula and unique tip ensure that you get a smooth black line in just one step. You don't have to worry about smudges because Colossal Kajal claims that it is a smudge-proof and waterproof up to 12 hours. Its ingredients that is olive oil esters, vitamin E, vitamin C derivatives and conditioning agents are gentle on the eyes and preventing irritating or sensitivity. you can draw a thin line for a natural everyday look and for dramatic effect draw a thicker and intense line on your eyes. I was able to try out this product myself. The Colossal Kajal is true black. The makeup artist help me to touch up a little bit on my underline using this Colossal kajal and I like it. I give the effect of Big Eyes and if you draw a full line your eyes will looks like a arabic person I guess. hehehee..very nice ! Next one is also new product from Maybelline. Thsi Trio Eyehsadow have 4 different shades and each one with unique color finish. In each eyeshadow contain 3 different color thats why it is called as Trio Eyeshadow. Start from left in the picture is 05 Galactic Purple, 04 Pinky Comet, 01 Coppered Mars and 02 Venus Gold. The latest eyeshadow from Maybelline New York is your must-have to copy the hot metalic ook that is trending on runway. A marbleized baked eyeshadow, Hupercosmos Trio Eyeshadow finishes off with a unique 3D effect and stunning metalic finish. Its formula of unique pure color pigments and uncrushed pearls enhances eyes with intense shine and shimmer. 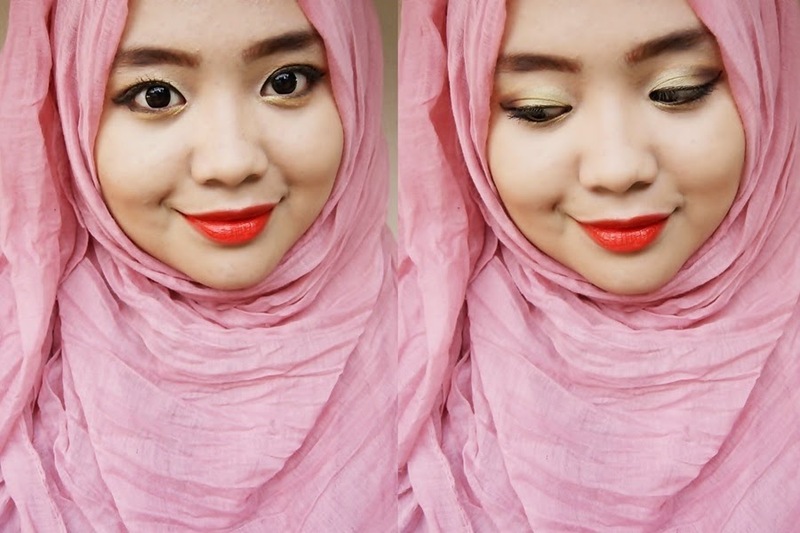 Who love pink Lips??? Me ! Me ! Me ! hehehee.. This is a New shocking pink look by Maybelline. This is a Maybelline New York's latest range from its popular Color Sensational lip franchise. Consisting of new pink fashion shades, Pink Alert by Color Sensational combines vivid red-based pigments to coat lips with a striking hue. Its nourishing honey nectar leaves behind a creamy feel so lips don't look or feel dry. The result is a popping pink shade that is oh-so-pretty and trendy. It is available in 4 gorgeous pink shades as you can see I've swatch each shades on my palms.. They have POW 1, POW 2, POW 3 and POW 4. All pink shades with different tones and based colour. This Pink Alert by Color Sensational is specially formulated to suit all skin tones. It is either you have fair, medium or even darker skin tone you are able to used this lipstick and it will match perfectly with your skin tone. It glides smooth on the lips and you can apply more layer for intense effect. 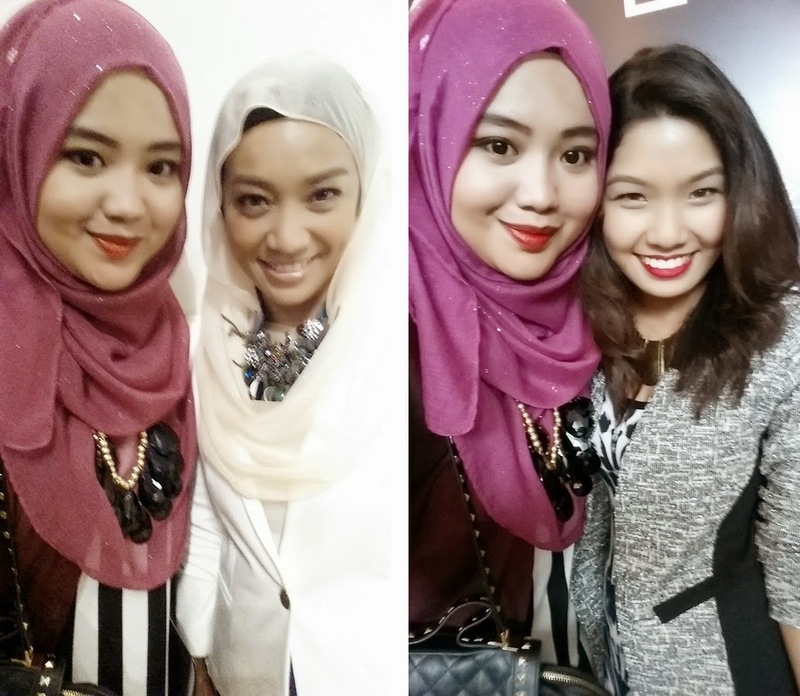 Here the 3 gorgeous models that been makeover by the makeup artist. All of them ar beautiful and makeover with different style. The launching went well! I do enjoy myself that day. Trying Maybelline New Products and if you have any products that I mention above and you would like me to review among this four please let me know yahh.. But as the Maybelline White Superfresh I will definitely share it with you guyss because it might be the powder that you looking for. Me?? NOT FINE! Totally feeling down and depressed ! I lost my phone again, this time not my careless mistake but totally been stole by someone!! can you imagine that you lost your phone while you are in the middle of doing something important. All important contacts numbers are saved in there and suddently gone??!!! I'm totally freak out that time.. So, this is what basically how the situation happen. Warning! totally a long story with every details. On 19 June 2014, I was at my University to prepare for my presentation. The presentation were held on the Bilik Gerakan, Block B, Fakulti Pengurusan Ladang dan Agroteknologi, UiTM Jasin, Melaka. The subject at that time was AGR499. Honestly, This code was my repeat paper code that I have to take again since my last semester performance was bad. I have to admit that I'm not a very clever student who always scores A's in their subject. I'm just a normal human being that still in a learning process and have a long long journey to go. So, I was with a few of my friends that in the same batch with me who also repeat the paper and the rest are juniors. I was in group of ten to present out paper work and I was one of the speaker that time. Before the presentation starts, of course I was belek-belek and scroll my handphone, actually I was in the middle to upload a picture to Instagram. but suddenly, lecturer called our group to starts our presentation. As the speaker that time I feel it is inappropriate for me to present while holding my handphone on my hand so I ask my friend, YY to look out and care for my handphone for a moment. I gave the phone hand by hand to her. My friend,YY also in the same group with me on the presentation it just that she not speaker lahhh.. So I put trust on her. And I assume everything was safe and my phone are with her, YY. I was not think about my phone during that time because I was focusing on the presentation and the lecturer comment about our paper work. Well I feel nervous of course together along with others speaker on the group which is my juniors. So, after the presentation are done and settle I was about to reach my friend, YY and ask if my phone are with her. So, I go for Solat Zohor at that moment and my friend contacting my other friend, ZZ who are with me at that time and saying that my phone are not with her, YY. I was shock and rush to the presentation room again. At the moment I arrive to the presentation room I try to call my number using my friend phone and I was even more shock when the operator says "Sorry, Please try latter" !! You know what it means right. It means that my phone were switch off and totally in offline mode!! OMG!!! My eyes starts to "produce" a tears. The tears are then slowly fall of to my check and my eyes turn red. As I try my best to find the handphone on the room, and the phone was not there. A few juniors who were the last group that present on that day aslo help me to find the search around the room area. I have to skip the class [subject AGR524] at that hour because I can't enter to the class with my eye in red of crying and my brain are suddenly stop working. I was totally freak out! As I reach my rental house I still can't believe thats how was my last moment of me with my handphone. SOOO SADD! I cry and cry and cry until my head hurt I cannot think straight and proper. Everything comes in one. I was try my best to track my handphone using my laptop but since the handphone was on offline mode so it is hard for me to track down. My head hurts sooo damn much at that time. I don't know what to do. You know the feeling when you crying so hard and your head start to "vibrating". Thats how I feel at that moment. So, at the evening, my friend, YY come to my rental house and explain what is really happen at that time. 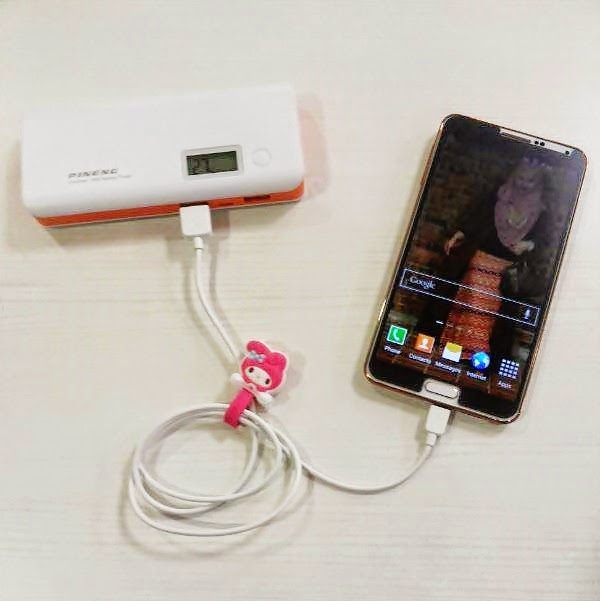 She says that " At first moment, she want to put my phone and hers on the packet but since it is too heavy, So she decide to put the phone on the table infront us during the presentation together with her phone as well. She also was focusing for the presentation. As when the presentation are done, she only saw her phone on the table and mine already gone." She suspect that the phone were missing during the presentation. since we present in a small hall room, where others groups are waiting for their turns. Well, a lot of eyes were watching what we up to and the thief hand are get ready to grab the chance when to take my handphone. The most weird thing is the thief are only aim for my phone because my friend's handphone, YY are still on the table. I cannot think straight that time, as my roommate arrive, she says why not you just make a police report. it is important to protect out properties and belongings. As I think it is also a good way to do rather than cry. I go to Police station at Jasin, Melaka. Together with my friends including YY because she also involve in this situation. As I reach at the police station, I make a report and tell everything that happen step by step to the Police Officer. Great that she is nice and easy to cooperate with. First of all, people may think that it is funny to make a police report about a lost of phone but this is actually a serious problem. The Inspector said it to me. This will make things even worst if you do not make any report. Alhamdulillah. Settle with the police report and everything. I already gave them the IMEI Serial Number for my phone to be track down. As I think that it is a good way to do. Inshaallah, Kita berusaha dan ikhtiar. My police report prove !! The next day, 20 June 2014 I was still in a daze plus I have two test that day [different subjects]. First test was in the morning [apa aku jawab pun tak tahu lahh] and second was at the evening. The evening test was the subject AGR499. As I think that I should called my lecturer that teach that subject to ask a help from her to makesure that all people that involve on the presentation that day to gather after the test are done. After the test done [apa aku jawab pun tak pasti lahh..hurmmm] Alhamdulillah, Madam kept her promise to gather all students that involve for the presentation that day. As I speak and annouce to them that my phone were missing, people are starts wondering and make that issue as a simple things. GOSHHH! you know how frustrated I was that time. HURMMM..SEDIHH.. I even show the prove of the police report I made yesterday. As I hope the thief can personally come forward or see me face-to-face also fine for me but unfortunately NON! HURMMM..They just cannot think what will happen to them if police can track and trace my phone, the thief can be jailed or even worst the thief can be dismiss from the University. 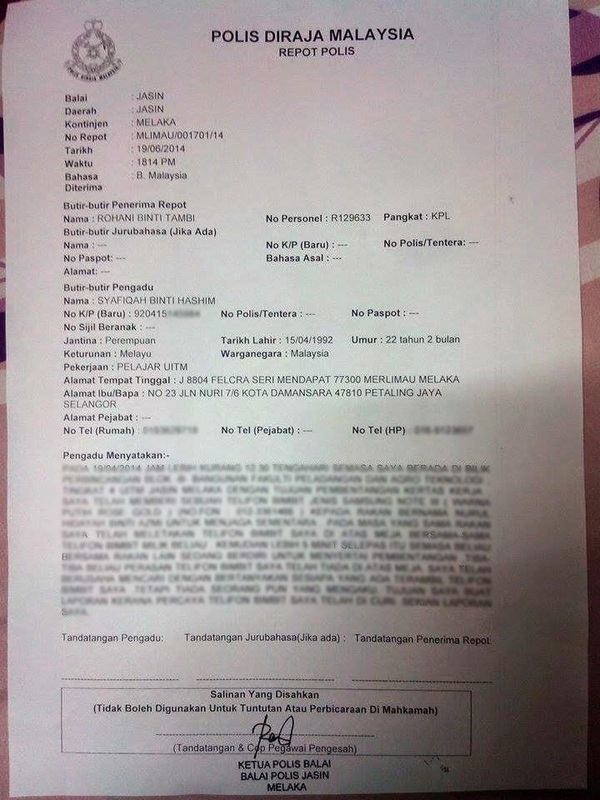 So, I hope the thief can come forward and return my phone so I can cancel my report. I also think the best for both sides. I don't like to cause trouble to anyone, but the thief do not come forward. What can I do, I tried my best already. Now I just have to wait for the police to call/contact me and tell the results of their investigation. I hope everything are doing well. I hope the police officer and Inspector can do their job properly to against this thief. For now, I don't suspect anyone. This is my big mistake which I can easily trust everyone around me. People can easily fooled me around. HURMMM..Yelahh..Kita percaya dekat kawan kita tak sangka pulak jadi macam ni...I don't aspect this kind of thing will happen. This is a big lesson for me. I have to be more careful next time. Peribahasa: Malang tak berbau atau Nasi sudah menjadi bubur apa boleh buat kan... I have to makesure that I can take a good care of my personal belongings and do not put a 100% trusts to anyone, never never never!! doesn't matter that he/she is your friends or not because nowadays we cannot easily trust anyone. I really take this as a serious mistake. I'm truly deeply in DOWN and DEPRESSED mood right now! Some people might says and think that this is just a small matter but it is a totally Big Matter for me. The handphone might not so canggih like yours lahh. Mine was only SAMSUNG NOTE III in White Rose Gold je.. I purchased this handphone at SAMSUNG Store, One Utama last February 2014 as a present from My dad to me. Tak sampai setahun pun lagi handphone tu, Warranty still available lagi. HURMMMM..The phone is very meaningful to me!! I kept a lot of important works as a blogger in there the picture of product that I need to review and what so ever important stuff in it. I also afraid that my picture can be misused by some people that not responsible. Just imagine that your were in my shoes right nowww!!! I miss my phone already!! I never think that you are willing to do this ugly and bad things. You know that this is WRONG but why you do it??? WHY??? Are you that desperate?? Have you ever think about your future and family especially your parents. What will your parents reaction if they know that their children end up become a thief?? You study hard to reach until this degree level but you act like a "Sampah Masyarakat" attitude. What have you done is totally UNFORGIVABLE ! You make your family feel ashamed with you plus the Final Examination just around the corner, you not even worried that it will affect you studies and life??? However, I wish best of luck for you. Saya TAK HALAL kan barang yang kamu curi. It is totally HARAM once you stole and used it, remember your step to Neraka/HELL are closer. Remember that you have to meet me at the Padang Masyar sebab nak return my phone at that time memang useless lahh. I'm not saying that I'm a good person myself I also make mistake but I really hate THIEF !! HURMMMMM... I hope Allah will open your heart to change you to be a better person. But just saying that Saya TAK TIDAK AKAN HALAL kan apa yang kamu curi tu !!! But I still giving you a chance to return my phone and personally ask for forgiveness to me. I'll consider that. My head and heart HURT badly! Kepala Runsing sangat.. It is 4.20am in the morning, I can't get proper still because I keep thinking of this problem..But I think I deserved some rest as well. So I will stop till here, if there is any updates about my phone I will share with you soon..I hope it is a great news instead of negative news.. Please PRAY the best for me..
As you pray for me, I also will pray for you to Allah/God to repay you more! Okay SHUSHHHH! I don't want to story about my study life now..hehee.. 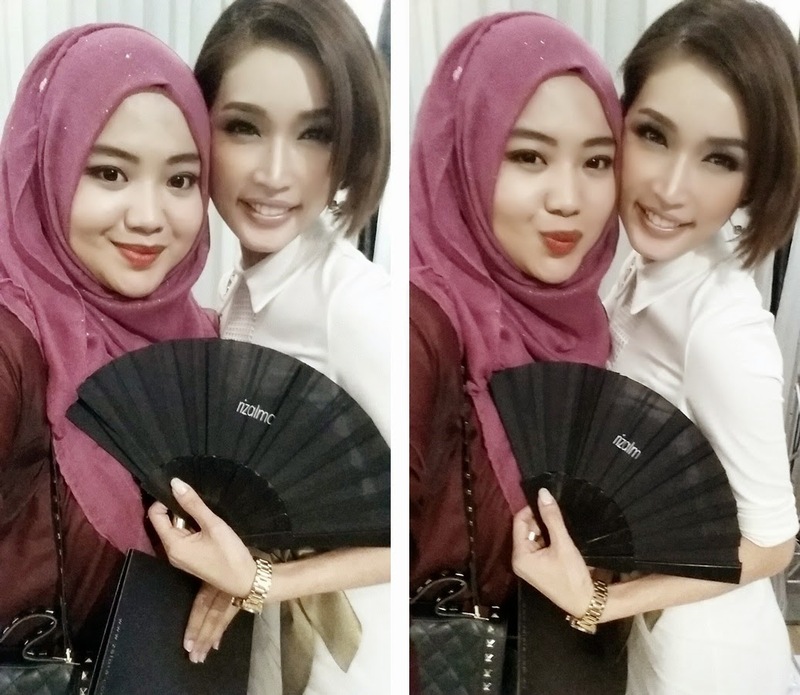 Anyway, on 3 June 2014, I was invited to the Fashion Show to the Famous Malaysian Designer, Rizalman. 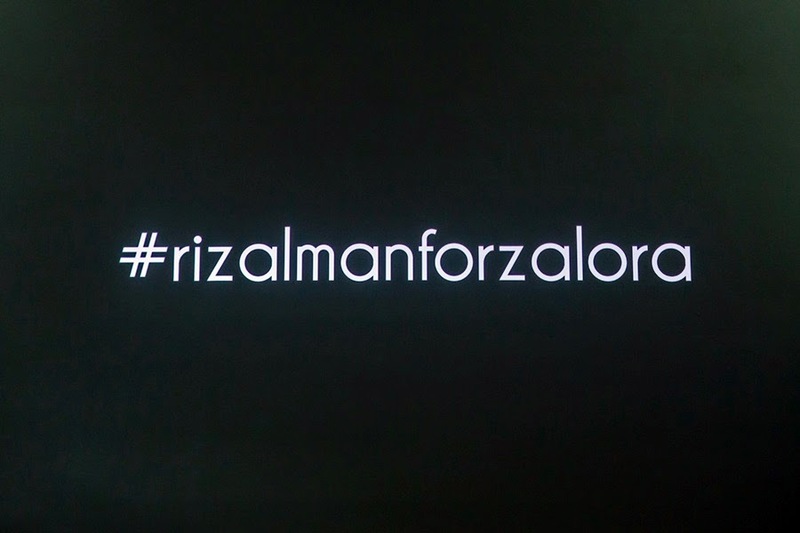 This time Rizalman collaborate with ZALORA. 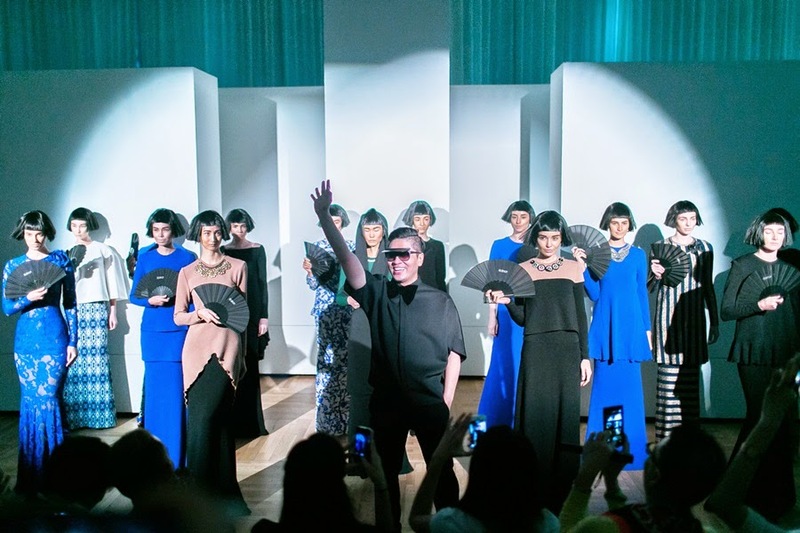 The concept is New Age Couture-Driven Designs for the Modern Women. The collection is exclusive that celebrates fashionable elegance and sophistication. 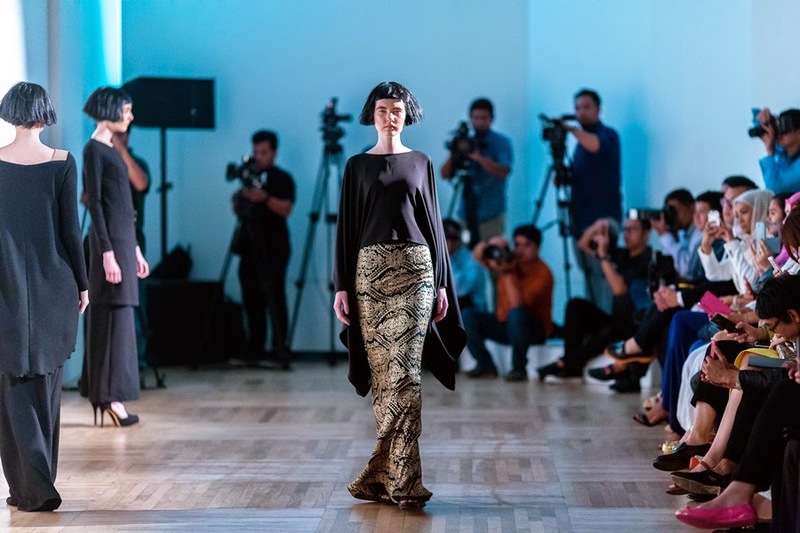 Rizalman's signature form-fitting cuts and elegant Baju Kurungs take the center stage in this collection, showcasing the evolution of the designer in presenting something new and fresh. 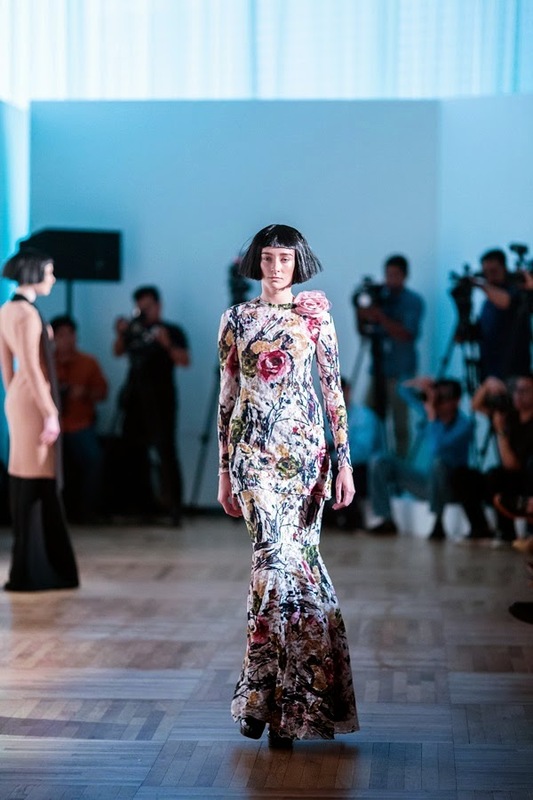 embellishments are kept to a bare minimum, as Rizalman focused on the each piece. 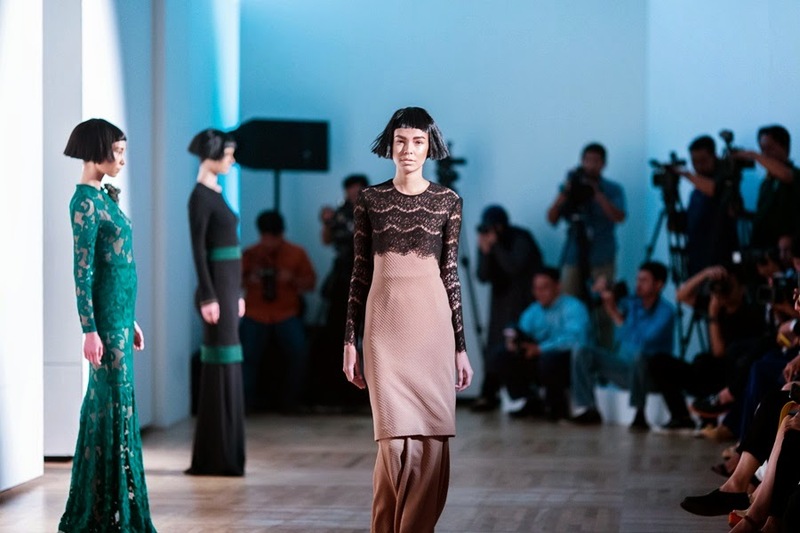 Jersey, lace, crape silk and georgette silk are used generously in addition to laces and metallic elements that creates and old-world sophistication that only Rizalman could have recreated. Here the Full Video ! really interesting and amazing piece of art work..THUMBS UP! 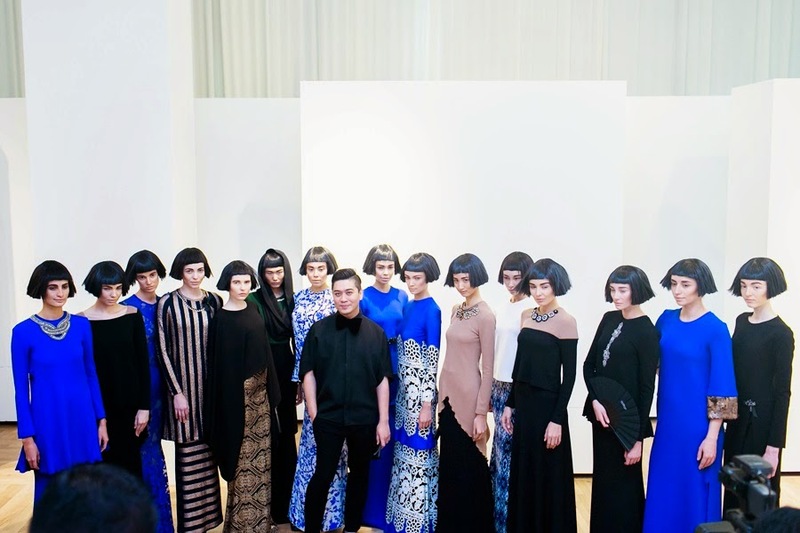 Rizalman for ZALORA was also an opportunity for the designer to explore new areas of design. the play of proportions and challenging classic design with new twists from conversation pieces. the outfits are given a modern uplift whilst maintaining the ladylike sensibility of their designs. such a friendly in person !! 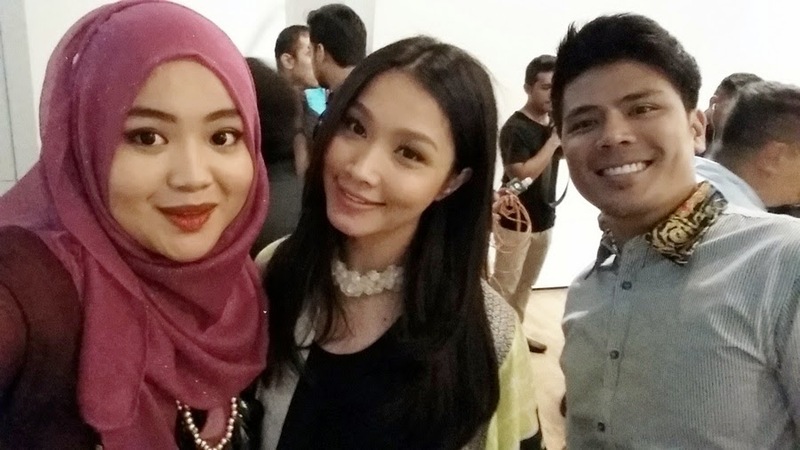 AWHHH..Malaysian Supermodel non others than Amber Chia ! left: meet her for the second time. don't have a time to talk because she was so busy with interviews from media..
right: with my blogger buddy, we have same passion in blogging, Shivani! 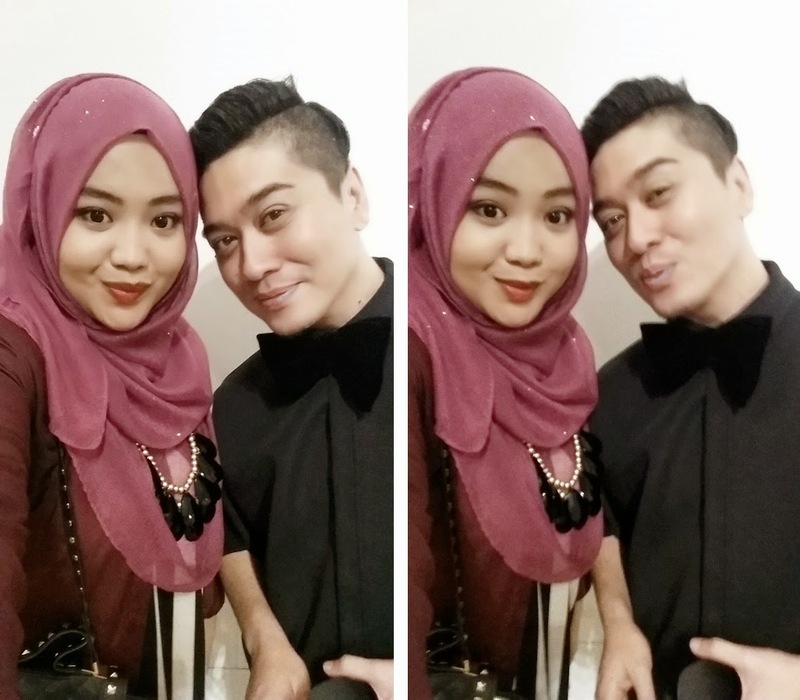 It was nice meeting you that time babe..
Last but not least with The Famous Malaysian Fashion Designer, Rizalman Ruzaini ! #selfie sikit..
Rizalman for ZALORA are currently available on www.zalora.com.my and www.zalora.sg from 4th June and offers fashionistas across Malaysia, Singapore and Brunei the chance to own Rizalman's latest collection. 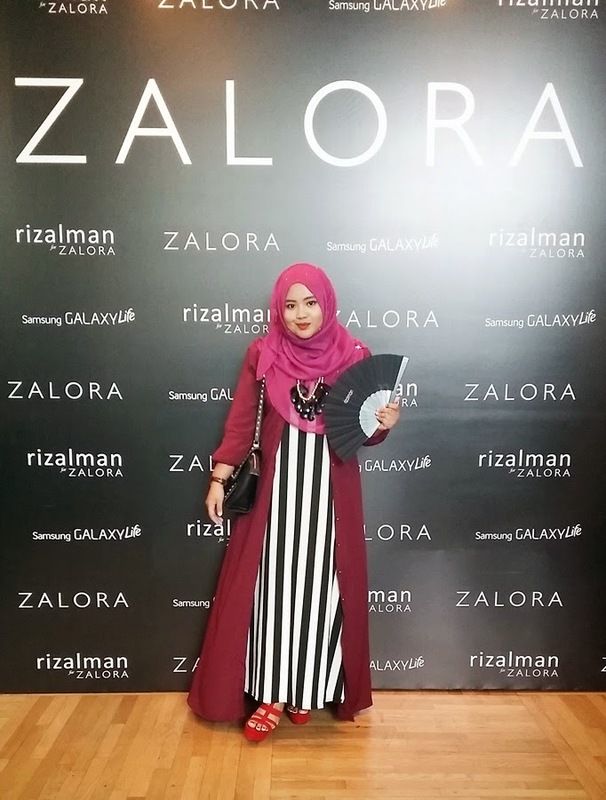 So, Hurry Up and Pick your favourites NOW at ZALORA..! HINT: The Fashion Show I attend..So, Stay Tuned !